Ever meet one of those kids who seems impressively wise beyond their years? Full of more energy, compassion, and ingenuity than most of us can muster, even on our best days? That's the kind of kid Charlotte Gould is. 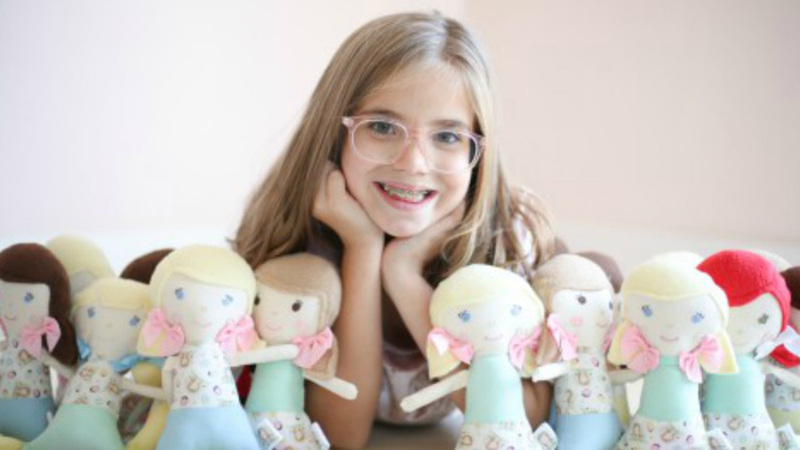 The 9-year-old "kid-preneur" from Arizona is the founder of Stitches by Charlotte, and to date has sewn over 150 handmade dolls that she's generously donated to children needing surgery all over the world. Her hope is that these soft and friendly dolls will offer children comfort as they face scary medical procedures - a reality that she knows herself all too well. Charlotte was born with a cleft lip and palate, which has required several surgeries to fix - some when she was just a small baby, and others when she was old enough to remember. "Charlotte vividly remembers the fears and uncertainty of her own surgeries and having something soft to hold that can help normalize the experience and explain it in a kid-friendly way really resonates with Charlotte," her mom Nicole tells Babble. In fact, Nicole says that Charlotte often wishes she'd had a doll like her own to keep her company during all those surgeries, and that's part of why she's so passionate about offering these one-of-a-kind comfort dolls to other kids who are going through the same thing. 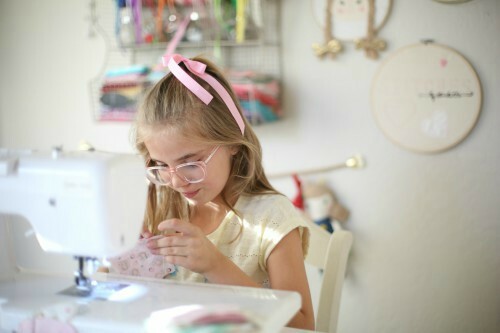 Charlotte began sewing just two years ago, when her grandma (whom she lovingly calls "Nana") gave her a sewing machine for Christmas. The first doll she sewed was in her own likeness with a small scar over her lip, where her own surgery scar is. She got so many compliments on the doll that Charlotte started sewing dolls for other kids, too. With the help of her Nana, who continues to teach Charlotte today, Charlotte learned some basic patterns and soon became hooked (pun intended!). 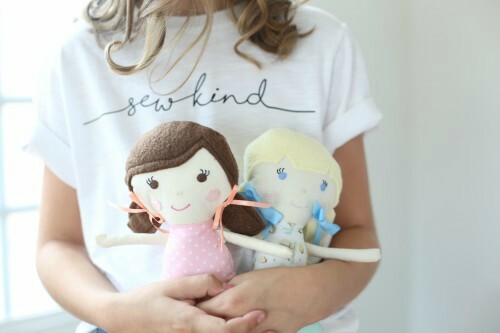 "A rag doll pattern peaked her interest," Nicole says, "and once she snuggled that doll she created to look just like her, she knew she couldn't stop at one." It seems that when Charlotte sets her mind to something, she really goes full force. She now has her own beautiful sewing room - or as Charlotte calls it, her "office" - where she keeps her sketches, supplies, and a display of her incredible work. And this little girl has some big plans for the future, too, including growing her line of dolls, upgrading her sewing machine, expanding her business, and getting her dolls into the hands of more kids in need. 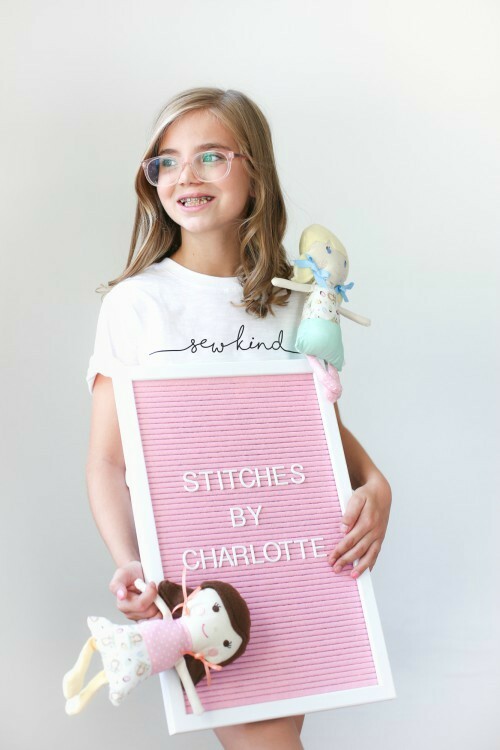 "In the near future, Charlotte hopes to have a line of dolls specifically designed for children needing surgery available on her website and in pediatric hospital gift stores," her mother explains. "Each doll will come with a kid-friendly needle, thread, and instructions on how to personalize the doll to match the child's situation." Something tells me Charlotte will have no problem making her dreams come true. Nicole also shares that her daughter wants to move to New York City when she grows up to become a fashion designer, which seems totally doable considering what Charlotte has accomplished already at such a young age. Charlotte's gifts truly seem limitless and awe-inspiring - and none of this is lost on Charlotte's mother. "Being Charlotte's mom has been the biggest blessing and greatest responsibility I have ever been deemed worthy to have," says Nicole. "I truly feel it is my joyful job to foster her big dreams for both her sake and the sake of the world. She's the kind of person that will change the world and I'm so lucky to live in a world with her in it!" Charlotte absolutely is changing the world, one doll at a time, and I'm so excited to see what the future holds for this remarkable young girl. If you'd like to learn more about her work and offer some support for her efforts, you can visit her fundraising page at Indiegogo or follow her official Facebook page.